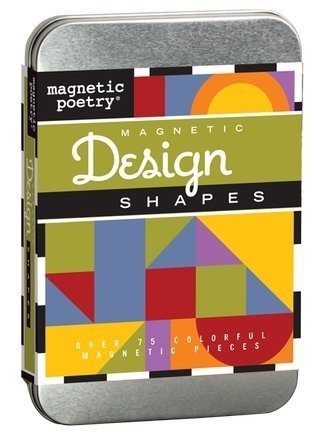 Create geometric symmetries and eccentric designs with the Magnetic Poetry Design Shapes Kit. 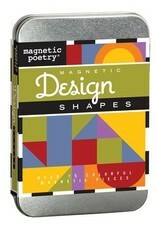 This kit contains a colorful set of over 75 magnetic shapes that will spark visual creativity with young and old alike. Use on any steel surface, including the storage tin in which they come.